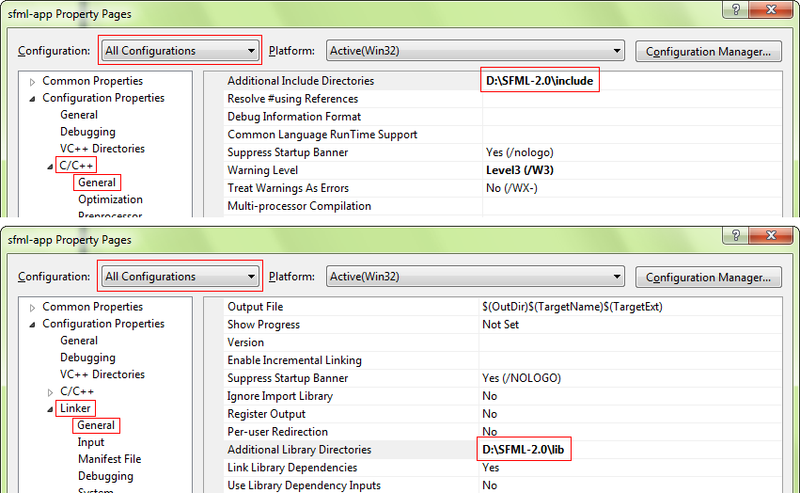 The first thing to do is choose what kind of project to create: you must select "Win32 application". The wizard offers a few options to customize the project: select "Console application" if you need the console, or "Windows application" if you don't want it. 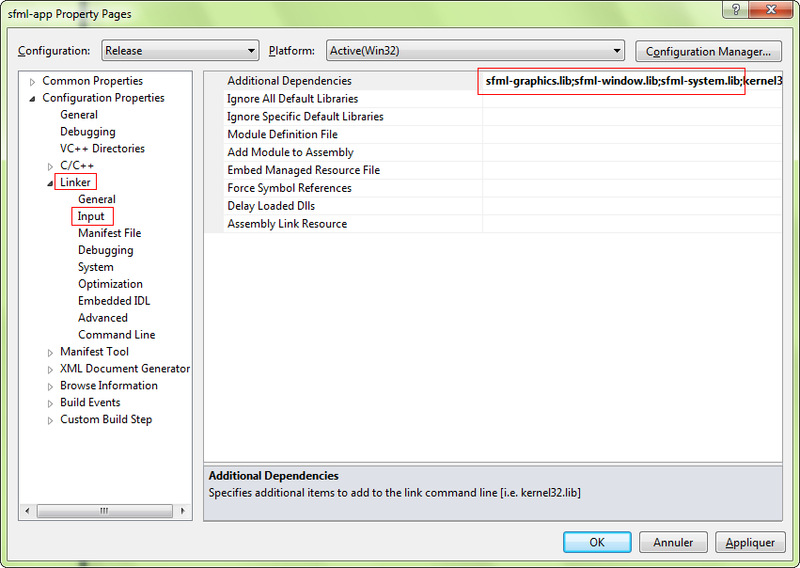 Check the "Empty project" box if you don't want to be annoyed with auto-generated code. 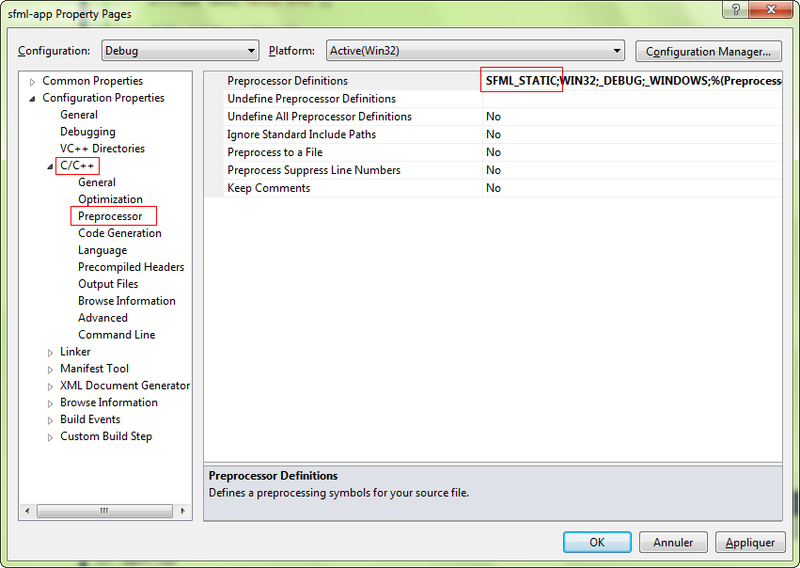 If you chose to create a "Windows application" project, the entry point of your code has to be set to "WinMain" instead of "main". 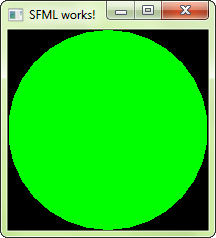 Since it's Windows specific, and your code would therefore not compile on Linux or Mac OS X, SFML provides a way to keep a standard "main" entry point in this case: link your project to the sfml-main module ("sfml-main-d.lib" in Debug, "sfml-main.lib" in Release), the same way you linked sfml-graphics, sfml-window and sfml-system.